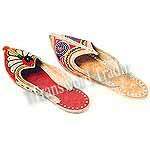 We have established ourselves among the leading Mens Footwear Manufacturer and Mens Footwear Exporters. Our Mens Footwear has occupied a standard market place and are well accepted by a large group of consumers. We invite you to gain from the opportunity of getting reasonable prices from us. We present Mens Footwear with unmatched quality and excellent performance. 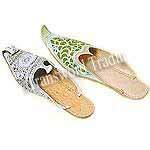 Ours is a well known name in global market in manufacturing and exporting of Mens Footwear like Mens Casual Footwear. Our Mens Footwear are available with the assurance of better durability than other. Capture the elegance of Mens Footwear with amazing desigs. Mens Footwear like Mens Casual Footwear comes in many unique and stylish designs that are continuously winning the marketplace of footwear industry. © Copyright 2009 - 2010. Transworld Trading Inc.